‘What I have in my own mind is a complete fusion of the two concepts’ (Herbert Read, Education Through Art (1943)). The ‘Art/Sound: Practice, Theory & History 1800-2010’ module will be launched at the School of Art, Aberystwyth University in September 2014. It’s anticipated that this will be the first in a suite of modules, presented under the aegis of the eye(aɪ)–ear(ɪə(r)) group, designed to explore the interaction of image, sound, and word. Why have I written the module? 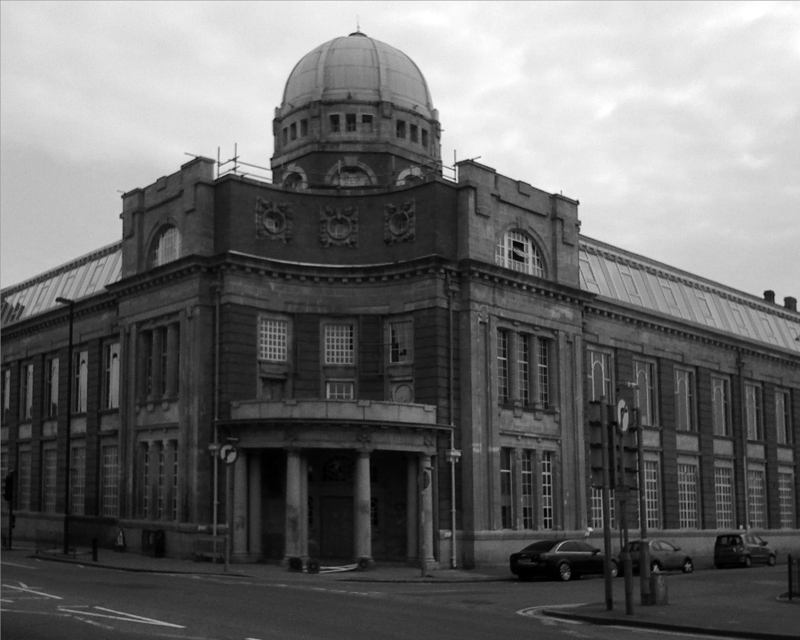 In part, to realise an ideal of the art school that has probably never existed. It certainly didn’t when I was a student. What I have in my own mind is a condition of education that allows visual art to engage in a free exchange of ideas and processes with mediums, disciplines, practitioners, theoreticians, historians, and histories and that lie outside its field of native competence. 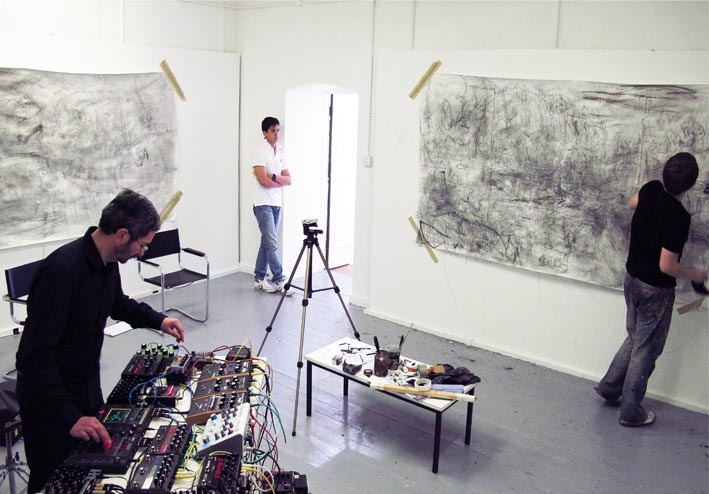 The conversation envisaged between art and sound is a case in point. When I attended art school in the late 1970s, a number of fine art students moonlighted as either punk or new wave composers and musicians. (I’d abandoned music and experimenting with sound upon entering art school, on the understanding that a certain singularity of commitment was expected. I now regret that decision.) A decade earlier, fine art departments were throwing up (and, sometimes, out) luminaries of popular, rock, and progressive music such as John Lennon, Paul McCartney, David Bowie, Brian Eno, Brian Ferry, and Pete Townsend. The music they made was often more radical, energetic, committed, and engaging than their visual work. This seemed to me to be an unsatisfactory state of affairs, as it always is when students have more passion for extra-curricula activities than for their ostensible subject of study. 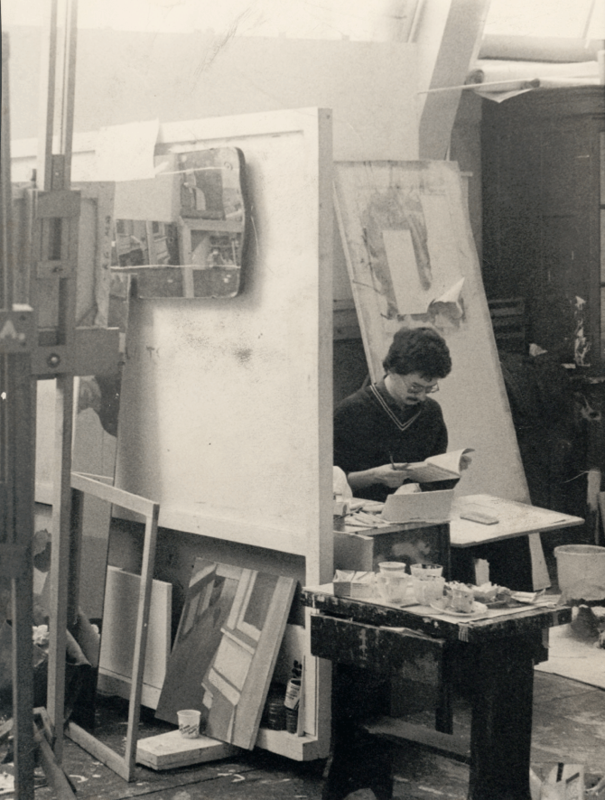 Several principles were evident to me: first, the creativity of some art students exceeded the boundaries of a single discipline; secondly, rarely was the practice and study of vision and audition either encouraged or reconciled within the context of their education; thirdly, nevertheless, art schools and not the more conservative conservatoires were the seedbed of some of the most arresting and ground-breaking contemporary music at the time; and finally, the music made by visual artists was often informed by a distinctly fine art sensibility. Occasionally, there were tantalising glimpses of how art and sound could resonate one with another within an art school setting. I remember jazz musicians and experimental music practitioners visiting as guest lecturers to perform, play vinyl records of recent music, and hold tutorials that took my thoughts about making paintings into an entirely different realm of possibilities. When introduced to systems art during my first year of BA studies in fine art, I asked my lecturers what or who were the historical antecedents of the movement. I expected them to recite a litany of architectural styles and artists’ names. Instead, I was told: the music of Bach and Schoenberg. And there were many other analogies to be drawn between the historical traditions and current practice of visual and sonic art forms. But no one in my sphere of education, then, was making those connections either explicit or legitimate or meaningful. Art and sound were close, but never touched. Like parallel lines, they appeared to converge only in the far distance. Over the last thirty-three years I have travelled (unconsciously, for the most part) to that point on the horizon where those lines meet. This first module is my attempt to, with my students, trace those trajectories over a period of two centuries. I want to show the significant intersections that there’ve been between art and sound in the past and to explore the unprecedented opportunities for fusion and reciprocity today. In so doing, I aim to harness that multivalent creativity of art students and develop the art school to which I have always wanted to belong. 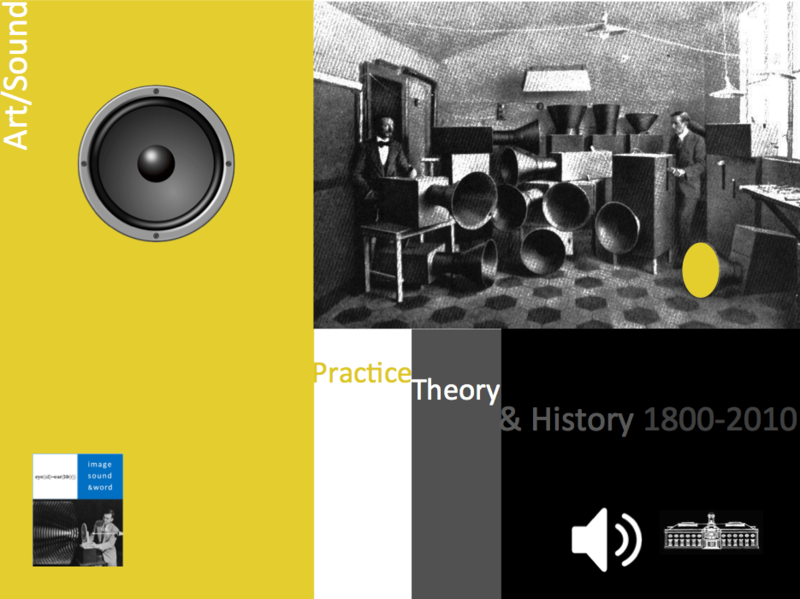 Follow ‘Art/Sound: Practice, History & Theory 1800-2010’ on FaceBook. I am really interested in finding out about your approach to Sound Art etc. Can you add me to your ‘mailing list’ or something so I can keep up to date. Sounds excellent to me, I am interested too.